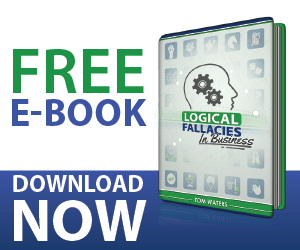 What is the Association Fallacy? Assuming the qualities or traits of a subject because of its associations. Generalizing a person based on their associations can cloud a person’s judgement of the facts. Acknowledge and accept the common generalizations (good and bad) of the industry you represent or the position you hold. Anticipating someone’s perception of you based on your associations will allow you to demonstrate that, like everything, there is a variety of people within a general group. This should help you bring your conversation back to the facts. In this case, the prospective client has made a generalization about consultants or sales reps and is using that bias to assume negative intentions.